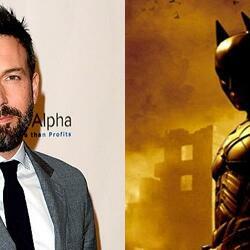 Audioboom / Is Ben Affleck The Right Man to Play Batman? On this special roundtable podcast, Erik Davis and Sean O'Connell are joined by comics expert John Gholson to dissect this week's big news that Ben Affleck is going to play Batman in the Man of Steel sequel due out in 2015. Good idea? Bad idea? We weigh in with our thoughts.